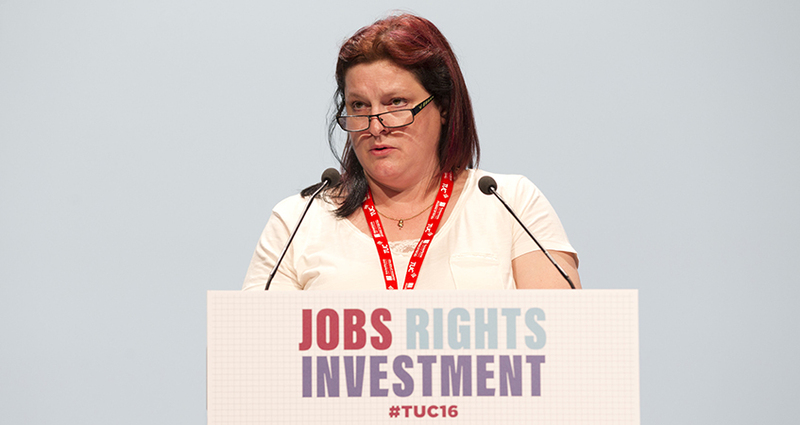 Ministers must wake up and recognise the “crisis of resourcing” facing Britain’s civil service, the FDA has warned, as unions representing workers right across the UK backed two FDA motions at TUC Congress 2017 in Brighton. The civil service is now at its smallest size since the second world war, having lost tens of thousands of staff since 2010. Yet despite the ongoing squeeze on resources, the demands on civil servants continue to grow, and the extra challenges posed by Britain’s vote to leave the European Union have so far not been matched by any increase in resources for the vast majority of government departments. An FDA motion carried unanimously by the TUC Congress in September calls for a new settlement for the civil service, stressing the need for Britain to have a “properly resourced, properly rewarded, impartial civil service” at this crucial time for the country. Moving the motion, FDA President Gareth Hills told Congress: “It’s civil servants who’ve been tasked with preparing the Great Repeal Bill. It’s civil servants who are at the heart of negotiating new trade relationships. It’s civil servants who will be expected to transpose EU laws into British ones and to overhaul immigration, customs and agricultural policies currently handled by the EU. Hills told Congress that a new settlement for the civil service must include an end to the arbitrary 1% cap on pay rises, saying it was vital that departments were “able to have grown-up conversations about pay without the 1% straitjacket”. Although Downing Street has signalled that there will be “flexibility” on the 1% public sector pay cap from next year, it has suggested any increases in pay will be funded from existing departmental budgets, rather than through additional funding. The FDA’s motion called for “an immediate end to planned cuts” and “full consultation” with trade unions on the additional resources that will be needed to prepare departments for the challenges ahead. Vicky Johnson – President of the Association of Revenue and Customs (ARC), which represents FDA members in HM Revenue and Customs – told Congress that the Government could not “cherry-pick” when ending the pay cap, which she said had left many FDA members 20% worse off in real terms than they were in 2010. Johnson also called for action to “put right the flaws” in the current civil service pay system, and she urged the Government to “put its own house in order before it lectures others” on the gender pay gap. Meanwhile, the TUC Congress also backed a separate FDA motion calling on ministers to prove their commitment to boardroom reform was genuine by appointing staff to the boards of all public sector organisations. FDA General Secretary Dave Penman told Congress that the move could “help put a brake on the constant change for change’s sake” seen too often in the public sector, and said the move would prompt “better decision making” by giving public servants at all levels “an opportunity to influence the services they deliver”.